Keep your business running smoothly throughout the whole year. Don’t let it be interrupted by ice and snow issues! 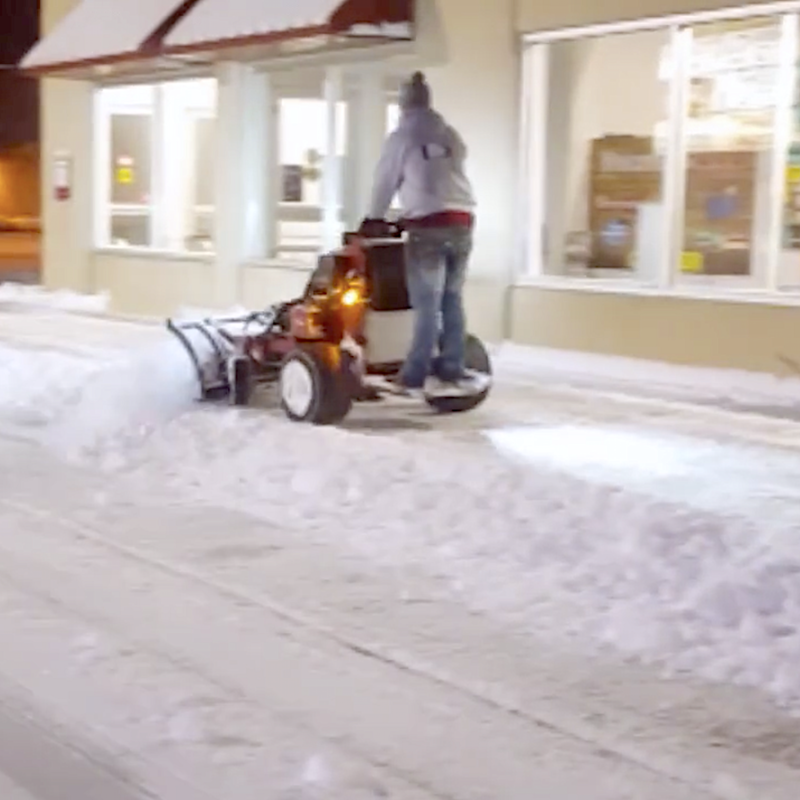 Hire DMT Property Maintenance for our top-rated Racine commercial snow and ice removal. DMT Property Maintenance offers dependable ice and snow removal services 24/7. Whenever you need us to plough and salt your site, we’ll be there. And when we say we’re available all day every day, we mean the professionals of DMT Property Maintenance – we don’t sub jobs out no matter morning or night. 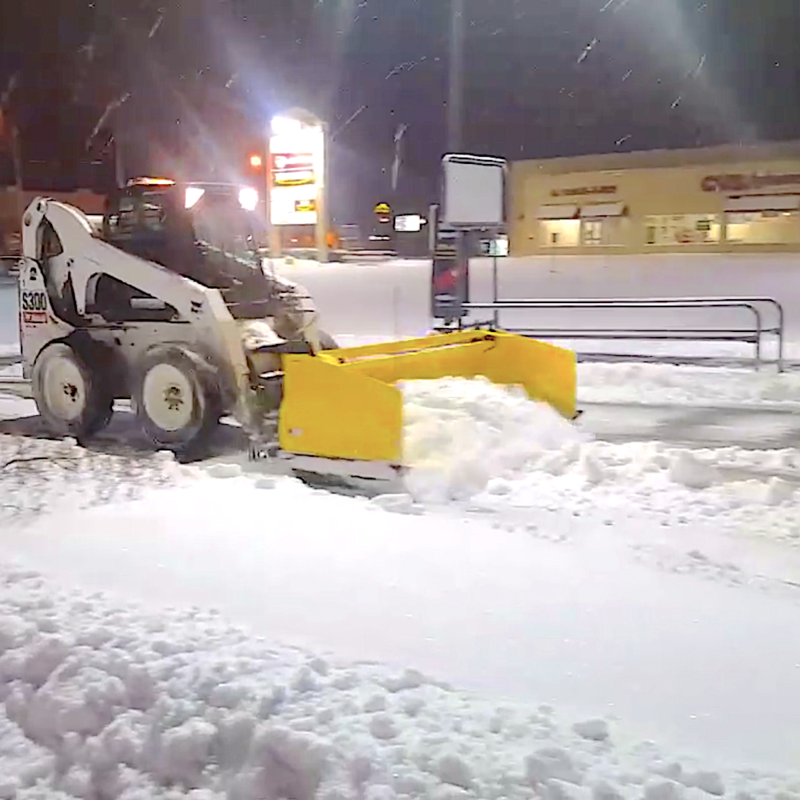 Our teams are trained experts always ready to take on snow and ice removal for commercial properties and businesses in Racine at all times. In over 20 years of business we’ve never missed an open-up. To learn more about our services, get in touch with us using the form below or dial 262-939-9368. We can’t wait to work with you! Cold weather affects you, your employees, your customers, and your property itself. Workers must be able to come in to your business without the danger of sliding on slippery ground. Customers need to be able to shop safely in a welcoming environment in order to be able to have a positive experience at your property or shop; this is especially important for young and old clients. Call DMT Property Maintenance to take care of ice and snow removal for your Racine, WI commercial space. If not done carefully by professionals, the removal process can damage your property or injure team members. This causes immense frustration and costs even more money. Successful and safe ice and snow management require the right means and know-how. 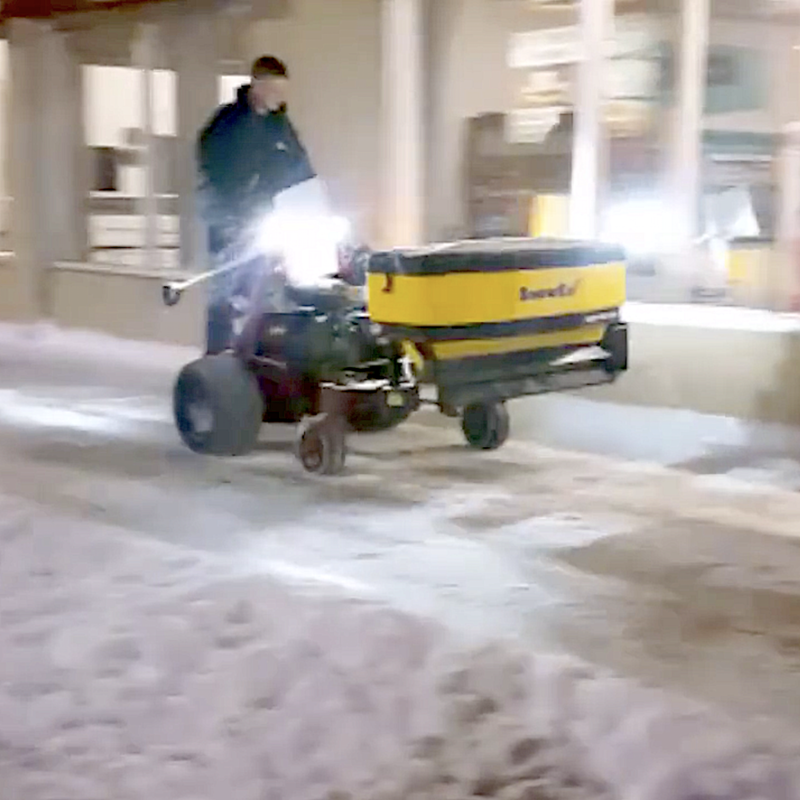 DMT Property Maintenance teams are dedicated to doing the job right the first time, especially when it comes to something like commercial snow and ice removal for Racine businesses. 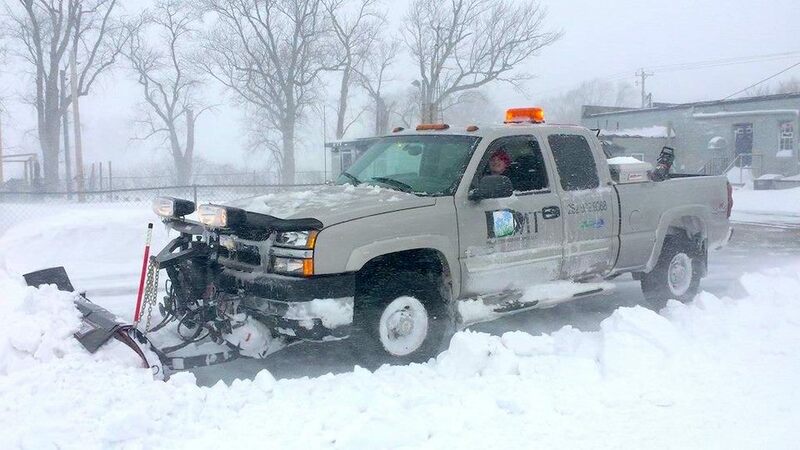 After more than 20 years of service, DMT Property Maintenance can say that businesses we’ve done ice and snow management for haven’t missed an open-up. Commercial property managers rely on DMT Property Maintenance for a number of seasonal services including annual cleanup, lawn mowing, and of course commercial snow and ice removal for commercial properties in Racine. We understand that you have a duty to fulfill to your tenants and need clear walkways and parking lots. No one wants to worry about falling on their way into their work or home, and shop customers will avoid a business that cannot accommodate for the weather. We work hard to ensure that every property we touch gets taken care of with the stellar DMT Property Maintenance standard and this is no different when we remove snow and ice. Because of our commitment to excellent work, we help property managers and property management companies all throughout Racine Wisconsin. Call DMT Property Maintenance at 262-939-9368 for a free estimate and consultation or easily contact us through the form below. And remember, we’re available 24/7 for snow and ice removal! no business RELYING ON DMT PROPERTY MAINTENANCE'S COMMERCIAL SNOW & ICE REMOVAL has ever missed an open-up!